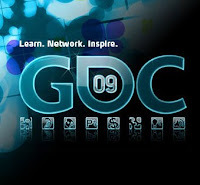 Explore the GDC Expo, seeking out information on the latest innovations showcased at GDC09. Join the fun Wednesday, March 25th from 4:30-6pm on the Expo Floor in North Hall and Career Pavilion in West Hall. GDC Europe focuses on Business, Game Design, Production, and Programming for games. In addition, this three day conference will emphasize timely content and topics in Serious Games and Mobile Games in Europe and worldwide today. For this competition, you must choose a scene from a movie and create a 3D environment based on it. You can either recreate it exactly, or you can use it as a reference to create something new - but it has to be recognizable and it has to look like it belongs to that movie. 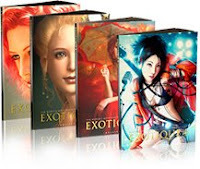 Ballistic Publishing invites you to submit your work to EXOTIQUE 5: THE WORLD'S MOST BEAUTIFUL CG CHARACTERS. The fifth book in the series will showcase the best digital character creations produced for film, television, games and personal endeavor. There is no cost or limit to the number of entries you can enter for EXOTIQUE 5. The jury for the sixteenth annual Spectrum competition convened in Kansas City, MO on the weekend of February 27, 2009 to make their selections from over 5000 works of fantastic-themed art for this year's book. 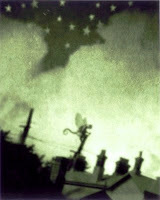 All of the art selected by the judges will be included in Spectrum 16 to be published by Underworld Books in October, 2009. Search and preview millions of books from libraries and publishers worldwide using Google Book Search.